Olaf Carl Wieghorst was born to Karl and Anna Wieghorst on April 30, 1899, in the village of Viborg, Jutland, Denmark. Olaf's father was a display artist and a photo retoucher. Olaf's interest in horses came early as a result of his father's association with the Danish Dragoons and he began riding while still a baby. His interest in horses continued to expand and as a youth, he was a bare-back rider in the Schumann Circus and a stunt rider for the Great Northern Film Company. Olaf's boyhood dream was to be an American cowboy. The passion that Olaf Wieghorst developed for horses and cowboy life would be a source of lifelong inspiration and reflect in his art. "Little Olaf - The Minature Acrobat"
Olaf's father Karl believed that one of the most important things if life was to keep physically fit. By the age of three, Olaf's father began training him intensively in acrobatic feats such as hand stands and the use of trapeze rings. 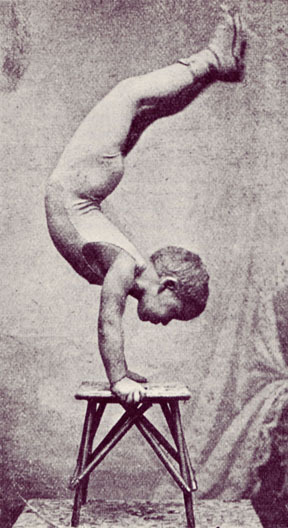 In 1908 when Olaf was nine his father decided it was time for Olaf to make his professional debut as an acrobat. 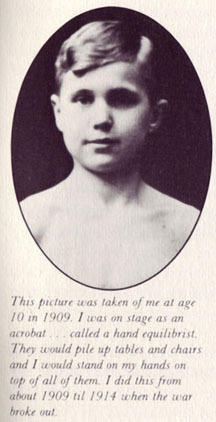 His first appearance was at the Tivoli Theater in Copenhagen where he was billed as "Little Olaf- The Miniature Acrobat." 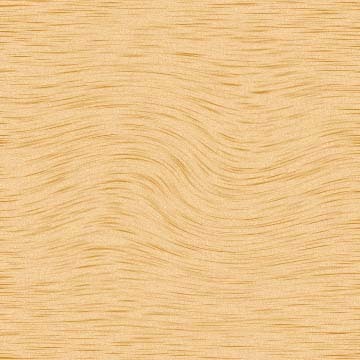 Olaf's father encourage him to take up painting and at the age of twelve he sold his first painting for two Danish crowns, about forty cents American. While working on a stock farm, he learned horseback riding and horses became a major focus of his admiration and later his painting. When Olaf was only nineteen years he applied for special permission to work aboard a Danish Steamer. The Danish Steamer the "United States" set sail from Copenhagen on December 14, 1918, for New York City. Olaf arrived in New York on December 31, 1918 and jumped ship. He had only $1.25 in his pocket and spoke no English. He had the address of his mother's sister Aunt Olga. Olaf spent the night, the next day, and part of the next night riding the subways looking for his Aunt's place. He finally found a soldier who spoke Danish. The soldier drew him a map with an explanation in Danish. His Uncle Alfred took him to Immigration on Ellis Island and arranged to have his nephew "legalized." Aunt Olga introduced Olaf to a young girl named Mabel Walters. Olaf was immediately smitten with her. They became good friend and Mabel undertook the task of teaching English to Olaf. 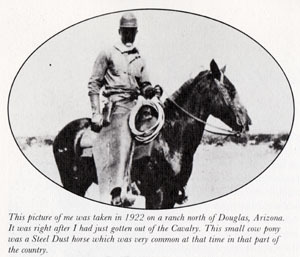 After three years of service with the Fifth Cavalry along the Mexican border, Wieghorst was mustered out of the military in June of 1922, and pursued the life of a cowboy, during which he wandered extensively throughout the Southwest, sketching whenever he could. In the fall of 1924, Olaf returned to New York and married Mabel Walters, whom he had met when he first arrived in the United States. He joined the Police Department and was sworn in on December 2, 1924. 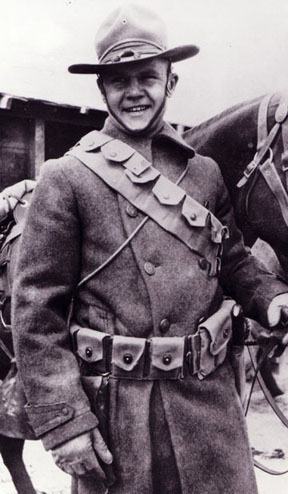 Because of his experience with horses be was assigned to the Remount Station, where he broke and trained young horses for the Mounted Division. For several years Patrolman Wieghorst was part of the Police Show Team and was the recipient of many blue ribbons and trophies, including some at the National Horse Show held in Madison Square Gardens. He patrolled the Central Park bridle paths on a horse named Rhombo. During his patrols he would stop runaway horses and help fallen riders. Although the police department did not condone outside business activities for its patrolman, Olaf began selling his work through various outlets during the 1930s. 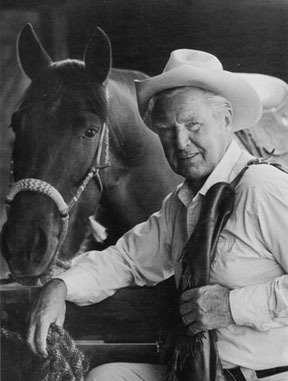 He used a front man named Charlie Aldrich, an old cowboy who had worked for Will Rogers, and began selling drawing and etchings in the lobby of Madison Square Garden. He shared a display table with another painter, Pete Martinez. 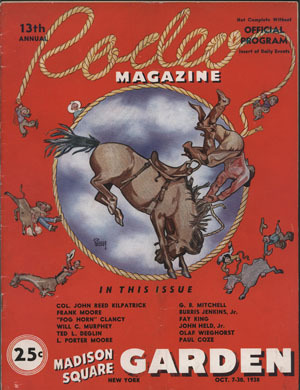 From 1938 to 1942 Olaf's drawing and etchings were displayed at the Madison Square Garden Rodeo and in the Rodeo's Official Magazine. "The artist who made the cover for this issue hails from New York City. Olaf Wieghorst made the dry point etching of which this picture is a reproduction. Back in the '20s Mr. Wieghorst was a member of the Border Patrol along the International Border between the United States and Mexico. 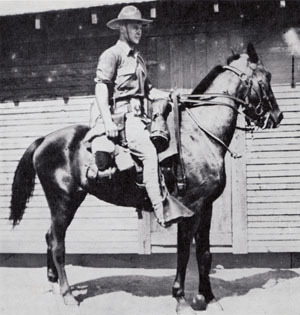 Later he cowboyed in New Mexico and finally went East and is now a mounted policeman in Central Park." Olaf retired from the New York City Police Department in December, 1944, and once again headed west, with Mae and his son Roy. They settled in El Cajon California. Olaf lived in a ranch style house on Renette Avenue. The house was moved in October, 1999 and restored by the Olaf Wieghorst Museum Foundation and is located in downtown El Cajon on Rea Avenue. 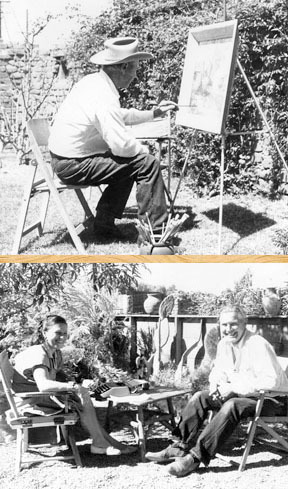 After retiring and moving to El Cajon Olaf settled down to paint, steadily gaining recognition for his classic cowboy and Indian subjects and became a master painter of the western scene. Arizona Highways devoted its March, 1971, issue to "The Southwest of Olaf Wieghorst", and repeated the honor again in 1974. 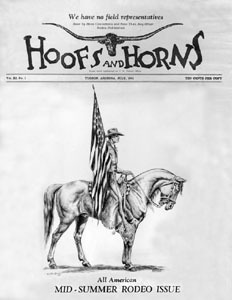 A retrospective of Wieghorst's work was presented at the National Cowboy and Western Heritage Museum in 1974-75. Olaf was honored at the National Cowboy Hall of Fame in Oklahoma City on November 15, 1974 for his contribution to Western Art. A display was presented at the Hall of Fame with more than fifty of his oil paintings. Recognized as the "Dean of Western Painters", Wieghorst's work is often compared with that of Remington and Russell, and his paintings hang in the great public and private collections of western art.